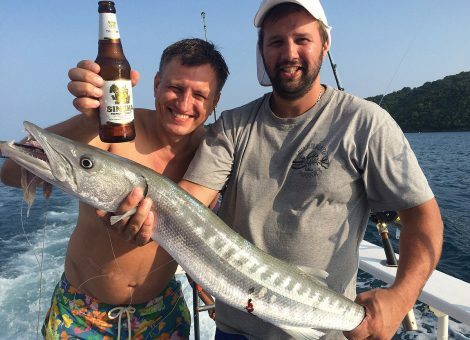 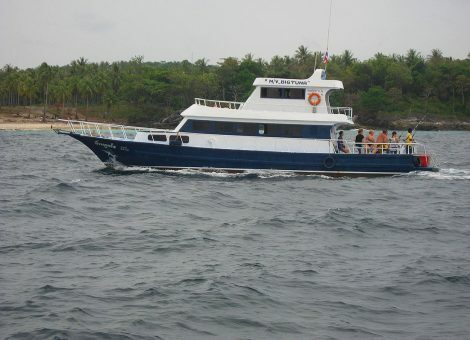 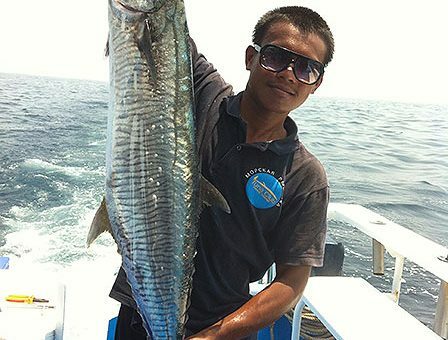 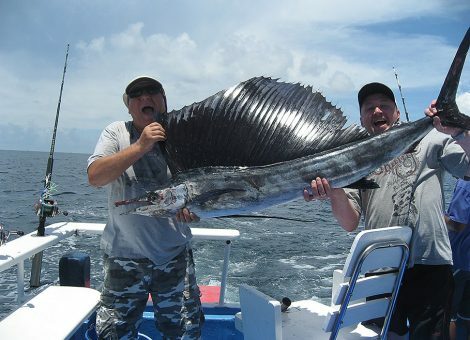 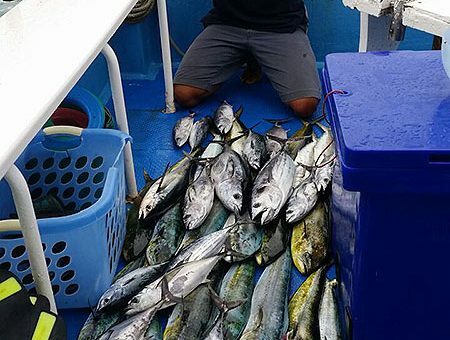 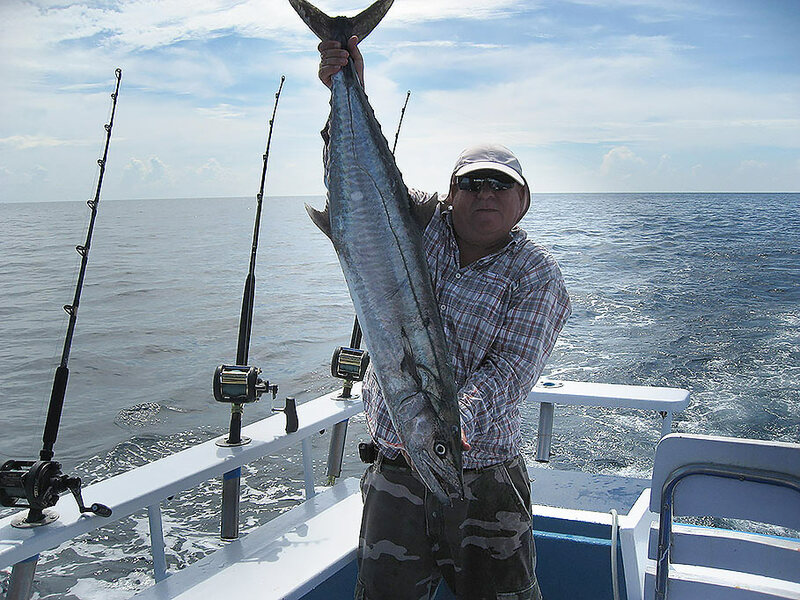 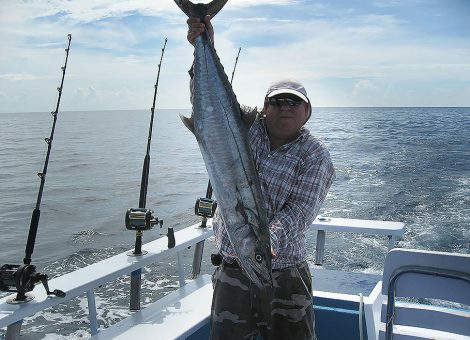 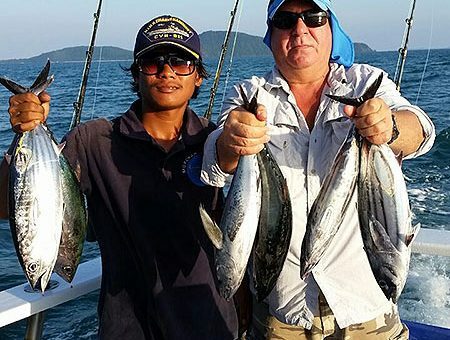 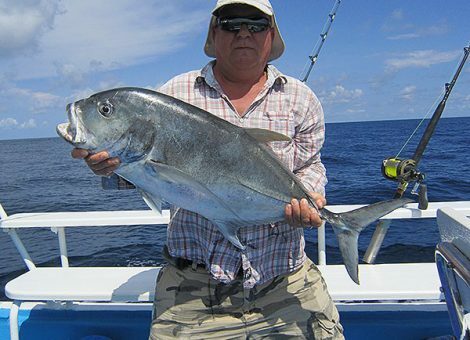 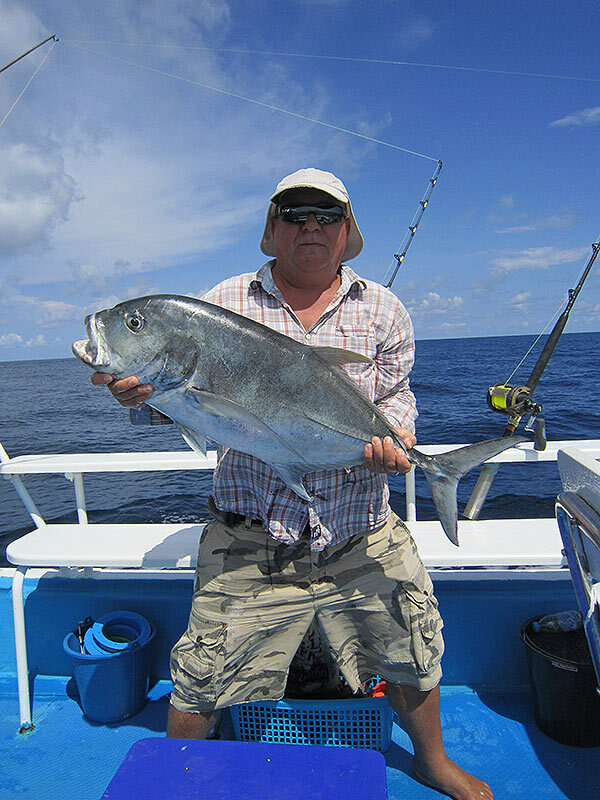 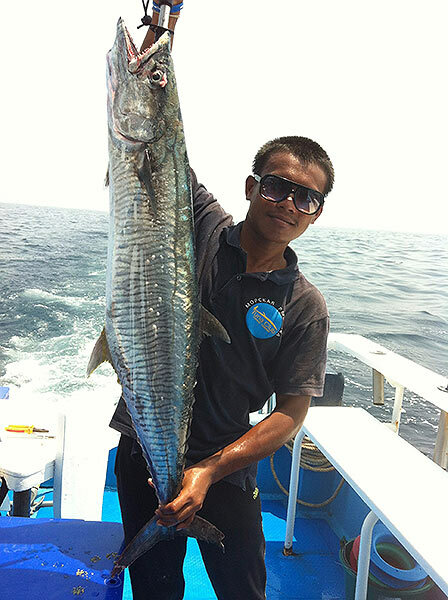 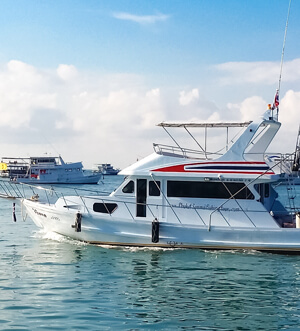 Fishing in Phuket on a fishing yacht equipped with all the necessary equipment near the beautiful islands of the Andaman Sea will be an unforgettable event for the whole family. 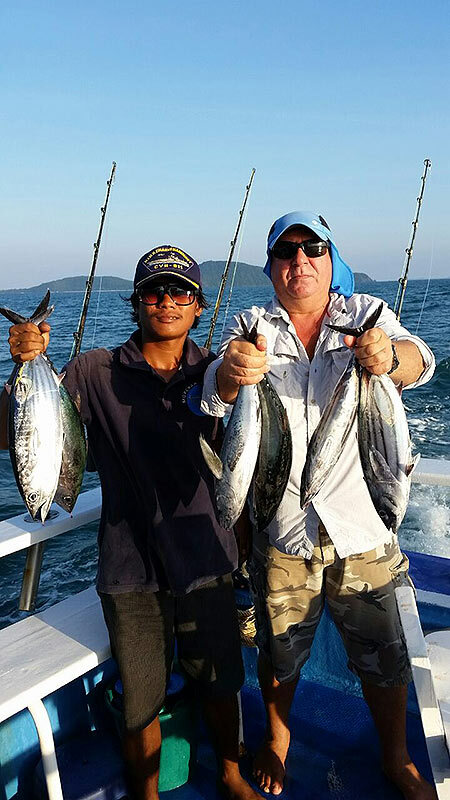 Renting a Big Tuna fishing boat in Phuket for daytime or evening sea fishing is suitable for a large company as well as a family of 4. 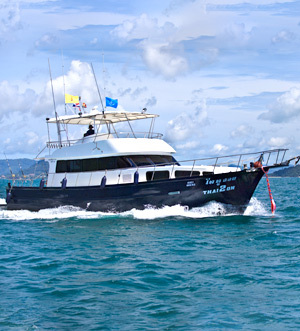 The motor yacht is equipped with all necessary safety features, a comfortable and large wardroom with a music system, and a comfortable cabin that has four berths. 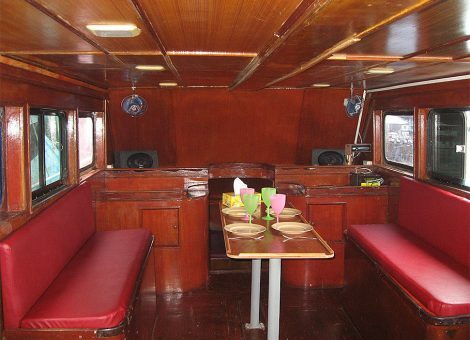 There is a bathroom, shower, masks and snorkel tubes, beach mats on the yacht as well. 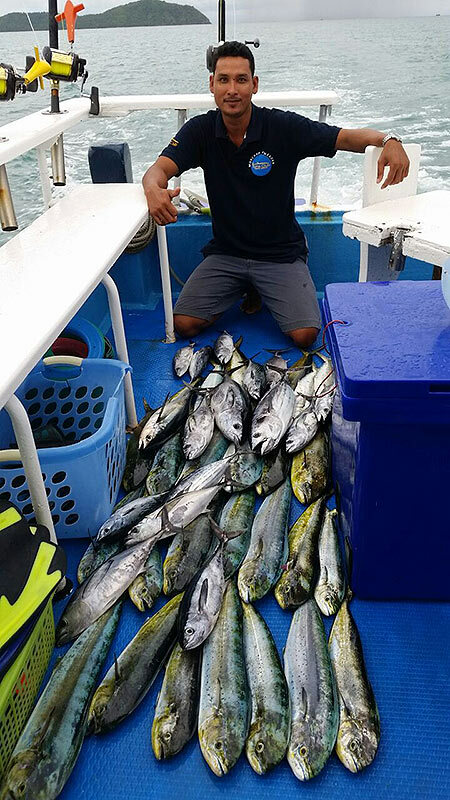 During the fishing trip, the team will prepare the traditional Thai soup Tom Yum and the freshly caught fish and, of course, make sashimi from the catch for you and your loved ones. We recommend that you take along: swim suit, towel, sunscreen, sunglasses and a hat.